Your Vendor Just Got Acquired. Now What? It never fails. You go through an extended RFP process, testing, and implementation. You finally get the new product integrated smoothly into your business processes. And then you open up the newspaper to find out your vendor has just been acquired—perhaps by a vendor you rejected on the first round. Now what? Unfortunately, in this day and age, acquisitions happen. But acquisitions can happen for several reasons. 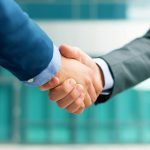 When one of your vendors gets acquired, it’s important to figure out what the reason is, because that will help determine your course of action going forward. Investors in your vendor want to see a profit on their investment. Your vendor is doing really, really well, and a bigger company wants to take advantage of this. Your vendor is doing really, really badly, and they’re trying to find a way to save themselves. Most of your vendor got acquired by another vendor, and a couple of products that were considered collateral damage got picked up by someone else. The acquiring vendor doesn’t care about your vendor’s products, but is doing an “acqui-hire” to gain access to your vendor’s staff. Vendor acquisition is not necessarily a bad thing. If your vendor was small, being bought by a bigger company could end up providing new resources and new integration. “Acquisition can be a cheaper way of growing a customer base, but that assumes the acquiring company is good at it—good at integrating the new company, formulating product plans and executing that strategy,” writes Cindy Jutras in Mint Jutras. “Some are better at it than others and some become good at it only after learning from mistakes of prior acquisitions.” In a 2011 survey, the organization found that almost a third of users went to a different product after the acquisition. If the acquiring vendor has a competing product line, painful decisions need to be made about which product survives. “If it’s a straight technology grab by a large company, or one competitor buying out another for market leverage, there may be little or no interest in continuing the acquired product in any form,” DeJesus warns. Engineers who made the vendor what it was might not stay. Relationships you’ve already made with your vendor are likely to change. Support people may be laid off. Salespeople may start operating under a different incentive schedule that makes their relationship with you less important. “There’s always the risk that you could lose that original, valuable contact and be tossed to a pool of impersonal, partially trained telephone agents,” DeJesus writes. The two companies’ business processes are likely to change as they are integrated—and that isn’t always a smooth ride. So in the event of vendor acquisition, what should you do? “When you find out that there’s a merger in the air, it’s always a good idea to unleash your lawyers and have them go over your contract agreements,” DeJesus writes. “You also need to be clear about your options in keeping or modifying those agreements with the new merged company.” For example, hopefully, you have a material change of control clause in your contract with the vendor. Such a clause allows you to revisit the contract should a major change happen—such as an acquisition. If nothing else, make sure that your contracts have them going forward. Similarly, an IT shop could specify that source code be placed in escrow and made available in the event of an acquisition, in case the acquiring party decides to discontinue sales or support of software, writes Craig Mathias in TechTarget. Service Levels: Will the current service levels pledged to you through a subscription agreement or contract change in any way within the next 90 days? Key Contacts: Who are the contacts for relationship management, customer service (including billing) and technical support? Future Roadmap: Will the currently publicized roadmap for products and services be changed for the forthcoming two quarters? Business Model: Is business model change planned within two quarters (ask anyway just in case you get an answer)? Integrations: If your products and services integrate with other vendors, will that change within two quarters? Customizations: If you have current customizations in their development pipeline, confirm the timeline for the delivery of those. Keep in mind, however, that answers can change—because the truth can change. Even if your vendor is telling you what’s true today, this can change over time. “If the software solution your organization is using is acquired by a firm that already has three, four or five different acquired product lines of similar functionality, don’t you think it’s going to take either the suspension of disbelief or an amazing technical writer to create a story that shows how all of these diverse products from very different creators, across different time lines and technical platforms will somehow come together in some single rational scheme?” Sommer writes. It’s easy to feel helpless after a vendor acquisition. As the saying goes, don’t see this as a problem, but as an opportunity to reconsider your options. You still have power to choose what works best for your business.